2018 Record: 43-19. RPI: 25. Coach (Record at school): Gary Gilmore (927-476-1, 23 seasons). Ballpark: Springs Brooks Stadium (Capacity: 5,400). Postseason History: 16 regionals (active streak: 1), 1 CWS trip (last in 2016), 1 national title (2016). More: Fall Report on Coastal Carolina. Schedule, Stats, Team News: Follow the Chanticleers all season long at our Coastal Carolina Team Page. LHP Garrett McDaniels, Fr. HS — Mullins, S.C. 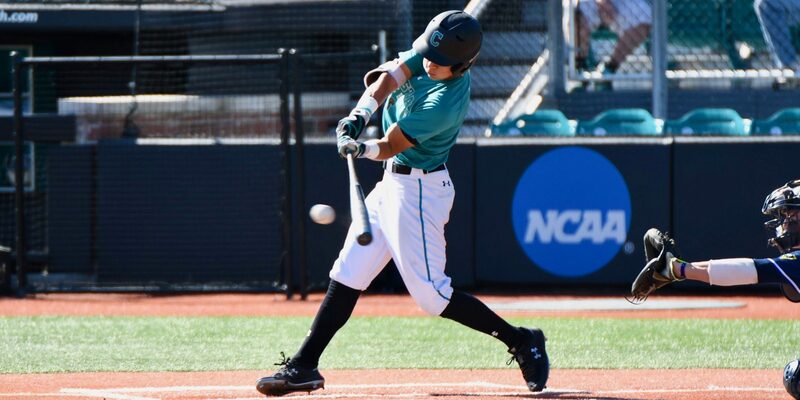 The Chants lost four regulars (led by mainstays Kevin Woodall and Seth Lancaster) from an offense that ranked fourth nationally in scoring (eight runs per game) last year. The returning core is still very dangerous, and Coastal has the luxury of plugging some holes with experienced and talented veterans who have been waiting in the wings for their shot to play every day.